From time to time I get asked “What are the best places to visit in the UK?”. How can anyone possibly answer that? B) There are so many other things to see and do and experience it’s hard to tease out the pick of them. In any event any “best places to visit in the UK” list such as this is a bit random, a bit personal. But because I must, here are 10 things the typical traveller might want to see in regional Britain – i.e. outside London – in no particular order. The thing is, however, that as you skip between these big items, there are dozens of other places that are worth the time to stop. Great British Road Trips will not only take you easily and stress-freely between the great tourist attractions in England, but also give you lots of interesting side options right throughout Britain so that you can pick and choose what interests you the most. Probably the “must-see” British sight for many people. Walk in the footsteps of your Neolithic ancestors at Stonehenge – one of the wonders of the world and the best-known prehistoric monument in Europe. Explore the ancient landscape on foot and step inside the Neolithic Houses to discover the tools and objects of everyday Neolithic life. Visit the world-class exhibition and visitor centre with 250 ancient objects and come face to face with a 5,500 year-old man. Bath is a city so beautiful and special that it has been designated a UNESCO World Heritage site. 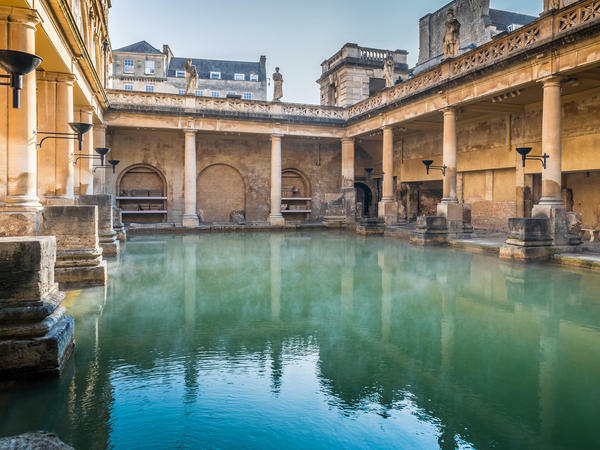 It is the only place in the UK where you can bathe in naturally hot spa water and original Roman Baths, making it the ultimate spa break destination for thousands of years. The spa became popular in the Georgian era when fashion leader Richard “ Beau” Nash presided over the city’s social life in the early 18th century. That gave rise to a building boom that has left a legacy of outstanding architecture. The Royal Crescent, Circus, Pump Room and Assembly reflect their creators’ ambitions to make Bath into one of the most beautiful cities in Europe, with architecture and landscape combined harmoniously for the enjoyment of the spa town’s cure takers. There are two major attractions in York, but also a number of others that mean you should allow at least a full day in this city. York Minster is one of the largest in Northern Europe. Gothic in design, its real attractions are the magnificent mediaeval stained glass windows that create a symphony in light inside. They are one of the art treasures of the world. The mediaeval walls girding the city, three miles long and mostly intact, are built on Roman foundations. They are pierced by four gates. You can stroll along the top of them. 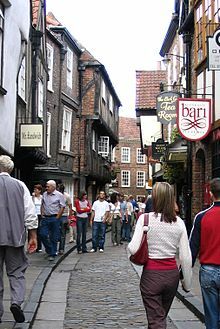 The Shambles, from the Old English word shamel, meaning slaughterhouse, are , well actually, a shambolic collection of old houses now converted to shops and cafes. Stroll among them for a hopur or two. Then there’s the National Railway Museum, Clifford’s Tower, the Castle Museum and a lot more. 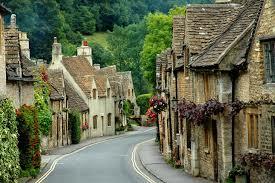 Mellow, honey-coloured stone buildings are the enduring image of the villages in this famous region. William Morris described the Cotswolds village of Bibury as the most beautiful in England but it is only one of a number like it. Stow-on-the Wold makes a great base to linger for at least a day among these quintessential English towns. Where does one start. There’s no question that the best way to see Cambridge is on foot, but the only way to get into the colleges themselves is to take an official walking tour. Bit of a bummer, but the local tourist organisation has cornered the market. You can, however, get a good look at the town by doing a walking tour on your own. The buildings of Cambridge University are just one beautiful construction after the other, but probably prime among them is Kings College (pictured), one of the oldest colleges in the town, founded by Henry VI in 1441. It is an example of exquisite design and fine English craftsmanship – especially the fan-vault ceiling. 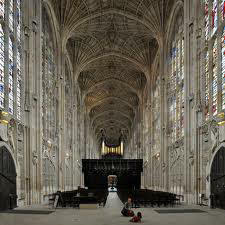 It was started by Henry VI and finished by Henry VIII during his marriage to Anne Boleyn. Halfway down the chapel you walk through a carved screen. Look for a carved letter A intertwined with an H.
Go punting on the River Cam and get a riverside view of “The Backs” – the backs of the college buildings. This region has inspired poets and writers for centuries. And no wonder. 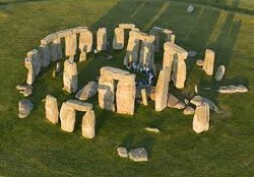 It is just one of the most beautiful places in Britain, its 885 square miles protected as a national park since 1951. In fact it gave its name to a group of 19th century writers, the Lake Poets, most prominently William Wordsworth, Samuel Taylor Coleridge and Robert Southey. 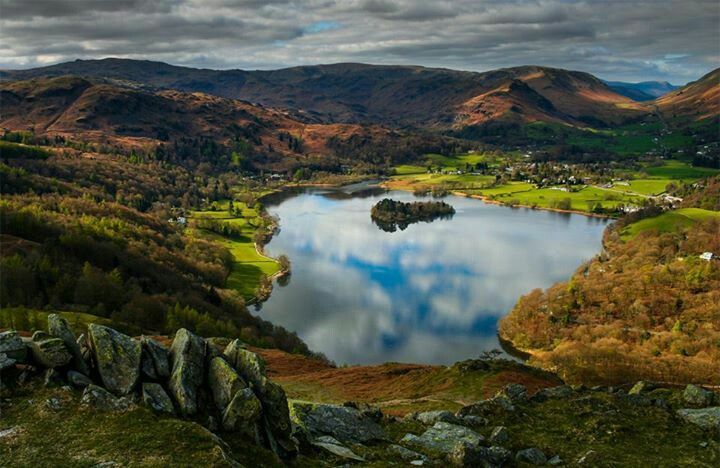 But others such as Beatrix Potter and John Ruskin have drawn inspiration from this wonderful visual cocktail of lakes, woodlands and fells (mountain sides). For me, personally, I remember as a kid at school I had a box of “Lakeland” coloured pencils and the photograph on the box fascinated me, the blues, browns and purples of the towering glacier-gouged mountains cradling gentle lake-studded valleys. 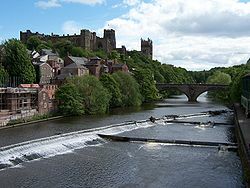 The big attractions here are Durham Castle and nearby Durham Cathedral in this UNESCO World Heritage Site, standing side by side on a prominent hill top site and encircled by the wooded slopes of the meandering River Wear. Durham Cathedral was voted the UK’s number one landmark in 2013. Started in 1093 and completed in 1133, it is the finest example on Normal church architecture in the country. Marvel at the work of the stonemasons that created the richly ornamented interior, particularly vaulted ceiling – it was the first church to used ribbed vaulting on such a scale. The Dreaming Spires of Oxford are famous the world over for the city’s university and place in history. For over 800 years, it has been a home to royalty and scholars, and since the 9th century an established town, although people are known to have lived in the area for thousands of years. 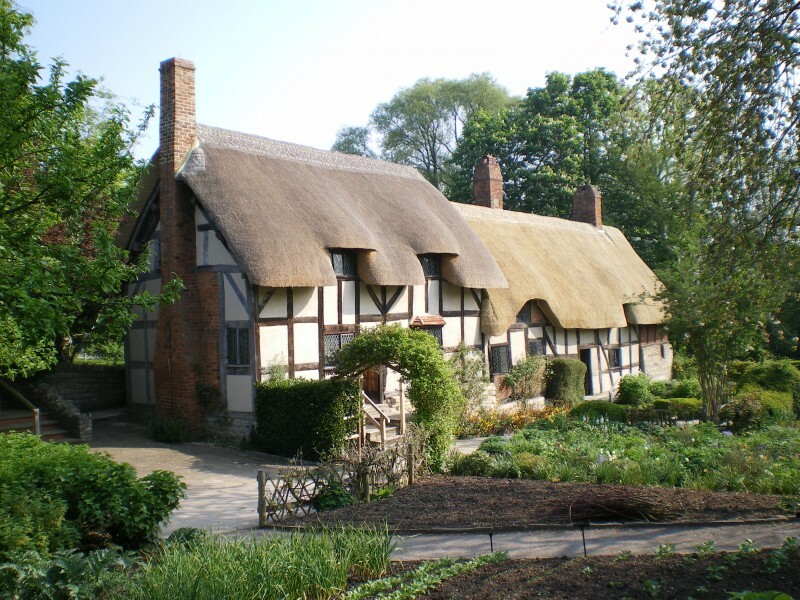 As a result it has 1500 listed buildings within its boundaries, covering every period of British architecture, starting in the 11 century. Its major attractions, apart from the university’s 38 colleges, include the Bodleian Library, the Ashmolean Museum, and Oxford Castle right in the centre – perfect to explore on foot. Close by, at Woodstock, is Blenheim Palace, one of Britain’s finest private houses and birthplace of Sir Winston Churchill. Brighton was once a small fishing village until, in 1750, the Prince Regent heard the sea air was good for the health and chose Brighton as a place to repair the wear and tear of his libertine lifestyle. As a result it became the height of fashion to see and be seen there. Most of the buildings along the waterfront date from the Regency period. 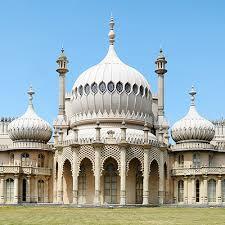 But the ultimate in profligacy has to be the Brighton Pavilion. Prinny – his nickname among his friends – turned a rather ordinary farmhouse into a riot of design excess. Indian influence on the outside, Chinese inside. Chinese themes were all the rage in the 18th century. The result – thank you 18th century taxpayers – is a building well worth the time to linger. Take a stroll along Brighton Pier – A Victorian pier with various food and drink outlets, fairground attractions and Palace of Fun arcade. There’s a choice of bars and restaurants and a famous fish and chip restaurant, Do what I did – bottle of wine, glass, packet of fish and chips . . . then dine on the sea shore and enjoy the music of the night. Take a wander through The Lanes, once a collection of fishermen’s’ cottages now a maze of twisting alleyways, twittens and catcreeps (look them up in a dictionary) filled with antique shops, boutiques, cafes and pubs. And if this list isn’t enough go to 10-more-best-places-to-visit-in-the-uk for even more ideas.